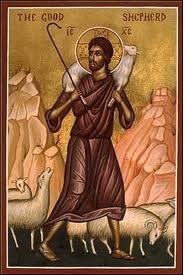 Jesus the Good Shepherd leads the communities of the Western European Province and gathers its members into His strong arms. Over 80 sisters live, pray and work in Italy, France and England, and four of our sisters minister in territories outside the Province, two in Ghana, and two in the Holy Land – Nazareth, Israel. The Province, unique in the Congregation’s geographical structure in that it spreads across three countries in Western Europe, was erected by the decision of the General Administration in 2003. The official inauguration of the Province took place March 16, 2003. Although the Province itself has quite a short history, its houses and communities can boast chronicles that make up the first pages of the history of the Congregation during the times of our Mother Foundress. In fact, from Rome she carried Nazareth to England and France, establishing the first communities there. The majority of the sisters live and work outside their country of origin. Therefore, we are often missionaries in “our own house”. The sisters come from different provinces: Polish, American and former English province. There are, on the other hand, sisters for whom the Province of Jesus the Good Shepherd is their province of origin; they entered here, had their initial formation here, and professed vows here. We live in three culturally different countries, which requires an extraordinary commitment of minds and openness of hearts, so that in this diversity we accept enrich one another. One of the names used for our province is the “Western European Province”. The name clearly shows the context in which we live and minister. In countries which formerly held Christianity as their basic religious belief, we now see an influx of people of different cultures, different beliefs and creeds. Therefore, openness to, and acceptance of these people, and respect for these differences is an important challenge in living the Gospel. At present the Province has seven communities. The beginnings of the Motherhouse on via Machiavelli in Rome go back to 1884. It is in this house that our Mother Foundress began to shape our Congregation; it is here where she breathed her last and returned to her heavenly Father’s House. Every corner of the house speaks of her presence. It is this house which is presently the Provincialate of the Western European Province. The Sisters who live in the Motherhouse minister in various apostolates: they work in the Vatican Charity Office preparing Papal blessings, join in the help of the poor rendered by a nearby parish and the office of the Almoner, one of the Sisters is a sacristan in the hospital. The whole community is committed to making the House always ready to receive visiting guests and Sisters, welcoming all with, a characteristic for Nazareth, hospitality. The fact that the Generalate of the Congregation is situated in the Province of Jesus the Good Shepherd is another unique feature of this Province. The Generalate community is involved in ministry to students of Duquesne University’s “study abroad” program (two semesters of students per academic year). Additionally, the sisters take care of the Congregational archives, welcome guests and various groups, catechize children and minister as an organist in a nearby parish. This house is also home to the Congregation’s General Administration. The community in Loreto consists of three sisters. Two of them are involved in the apostolate of the spiritual accompaniment of pilgrims who come to the Sanctuary of the Holy House of Nazareth. The fourth of our Italian homes is in Pozza di Fassa. This convent, opened in August 2013, is located in northern Italy, in the beautiful Val di Fassa (Dolomites), in the Diocese of Trento. The sisters are passionately engaged in the pastoral life of the parish. They visit families and work in the Church. One Sister also teaches religion in the school. In Paris – where for several decades the sisters have been running an international foyer for young people pursuing higher education. In Bagneux (outskirts of Paris) – where, in more modest conditions, but with lots of apostolic enthusiasm, the sisters minister among young women who come to France to study or find work. The sisters are also actively involved in teaching religion in parishes and working together with a group of Associates of the Holy Family of Nazareth. One house in England – in Enfield (London), where the sisters who previously ministered in our schools in Enfield and in Pitsford live, and who today, as much as possible, are involved in the life and the current needs of the local Church. One sister continues to work in the Catholic school. Enfield is also a place where the sisters join in the pastoral care of Polish immigrants through the catechesis of young children because our convent chapel serves as the Polish parish Church. Our chapel also serves the Maronite community who come to celebrate Sunday Eucharist. The house for many years has also been open to sisters from other countries who come to study the English language. Our ministries in Jesus the Good Shepherd Province are seen as a way of responding to the needs of the Church. By creating communities of love and hope in this part of the world, we strive to spread the Kingdom of God’s Love. We believe that Jesus – God incarnate with the sacrifice of his love strengthens us and those whom we serve on the way to the House of the Father.